The pie iron is a great tool for making quick, hot sandwiches and desserts. It’s something the kids can do with a little supervision. Most kids eat a lot on a camping trip and having a set of pie irons will help with that chore while giving them a hot snack. The best thing about cooking with a pie iron is the simplicity for anyone to use which makes it fun for the whole family. The pie iron can be made of different metals like cast iron, aluminum or stamped sheet metal with long handles and a latch to keep it closed. 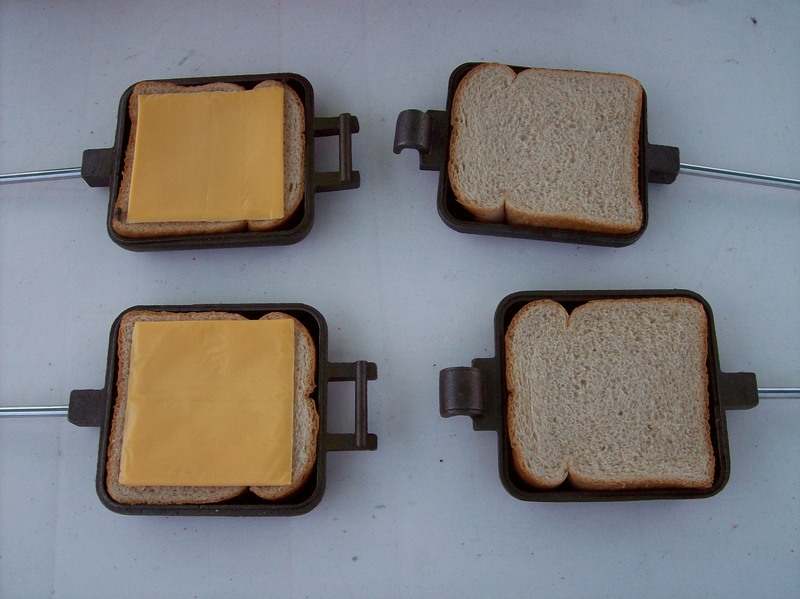 The best ones are made of cast iron, being heavier and usually of higher quaility creates a better tasting sandwich. The cast iron pie irons are seasoned the same way as any other cast iron cooking utensil. They could last a lifetime with proper care. The more you use them the blacker and better they are, eventually having that nonstick coating that everyone loves.